3804 Brandon Avenue, Roanoke Va.
No pre-registration is required, first come, first served. 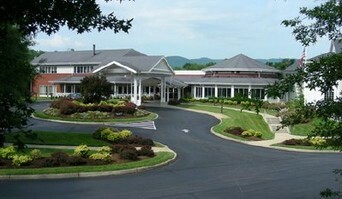 Brandon Oaks Gallery is located in a central hall in between the dining hall, auditorium and the Bistro Grill. Hat society and numerous tour groups. 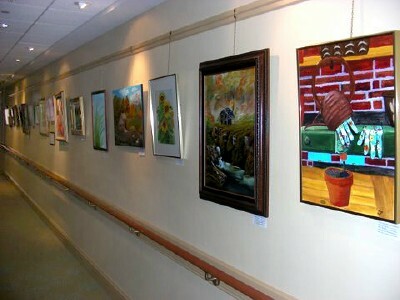 The residents and their guests often comment about the quality of the art work and the exhibits are greatly appreciated by the residents and staff. This gallery averages one to two sales per rotation. more than abstract works. They like bright uplifting colors. Paintings up to $200 sell more than higher priced works.